How To Choose The Right Dog Car Seat? Have a very excitable dog? Safety, comfort, and protection are the main purposes of dog car seats, also called dog booster seats. The problem is that most dog owners are not aware of the risks when they have a puppy: it's small and not bothersome. However, once these little beasts grow, things become too difficult to handle. Using the best dog car seat for your pooch is the way to go, ideally from an early age, to avoid any imprudence during car journeys. Everybody and I mean it, everybody, will thank you for being responsible on the road. According to the American Automobile Association and Kurgo, one in five dog owners surveyed has admitted to taking their hands off the steering wheel in order to prevent their dog from climbing in the front seat. Not only this is dangerous for the driver and anybody, human or dog, in the car but it's also irresponsible in regards to the safety of other people on the road. Oh, and if you've got a precious leather interior, a booster seat for your dog is a must in order to protect your car! For those on a tight budget, check out our article on dog car seat covers instead. 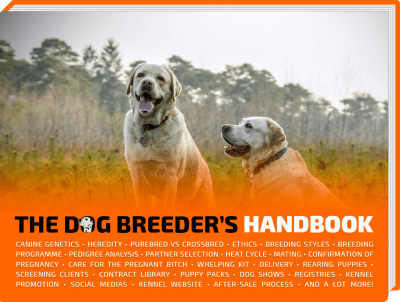 Now you're convinced about using a quality booster seat for your dog, there are several criteria to have in mind while prospecting. We've listed the best dog car seats below but still, make sure you have the following focus points at the front of your mind when choosing the final car seat for your pet. A big problem with dog booster seats is that many dog owners have bought one but never use it or only for hours-long car journeys. The first criterion to consider when buying a car seat for dogs is how easy it is to set it up and pack it away. Most dog booster seats are very quickly removable using buckles and can easily fold to be stored away in your trunk or at home. Cheaper car seats for dogs tend to not have that much ease when it comes to usability and foldability; and when they have, it most likely will break after few weeks. Firstly, the dog car seat you're buying must have a solid attachment system to your car's seat; and it should work perfectly on a back seat or at the front. Most bucket booster pet seats will allow the seat belt to pass through and lock themselves safely. Some other products also allow for an extra belt to get attached to the car headrest. Secondly, the dog car seat should absolutely be delivered with adjustable security leashes that latch to the dog to ensure your dog remains safely seated throughout the car journey. In order for any dog to remain calm and still in a bucket booster seat, it must be comfortable and spacious enough to sit up or lay down for a little snooze. Either way, the dog must never feel too overwhelmed by the lack of space. A few dog car booster seats are higher up to allow the dog to look through the window; it's nice but can be a little unnecessary. 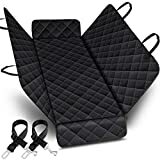 Here is our list of the five best dog car seats available on Amazon for dog owners who are aware of the dangers of leaving a dog unrestrained in a car. 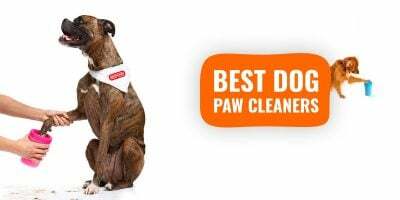 Each product below is best suited for a particular type of dog or use scenario; there is no real absolute #1 so check them all out and pick your most adapted dog booster seat. A lot of dog booster seats are just too big that it's an overkill to use them for small dogs; the Kurgo Skybox is perfect in those situations! It is reasonably sized with measurements of 12-inch deep, 16-inch wide and 8-inch high. It definitely provides enough space for small dogs but not too much to turn into a cumbersome car seat. Don't get me wrong — it is not a fiddly product! It welcomes dogs of up to 30 pounds thanks to its metal frame that supports the whole structure very efficiently. The material uses are also of good quality: reversible pad to remain fresh and clean as well as a machine washable liner! As little perks, there are two zippered pockets on the sides; they're perfect for treats and toys! The Kurgo Skybox is fully collapsible making it perfect for quick journeys as it takes seconds to use or pack. The attachment system works on both front and back seats. A great product, perhaps not as polished as its K&H counterpart but nonetheless great… and half the price! This amazing K&H Manufacturing Bucket Booster Pet Seat is designed and put together to be durable and resist the most excitable dogs out there. It comes into a small and large size as well as two different colors. The comfort is enhanced thanks to a 3-inch foam cushion that is also easily washable. FidoRido is a dog car seat with a patented design and 3-in-1 technology. Three in one because it is a booster seat, a bathtub, and a basket bed for your dog. Made of high-quality plastic materials, each and every part of the FidoRido is washable so you can keep it clean at all times, avoiding the dreaded dog smell in the car. 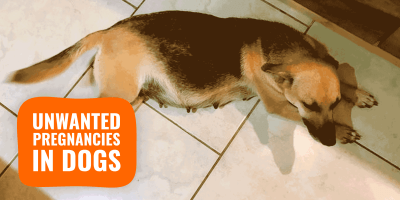 The FidoRido comfortably welcomes one dog of up to 30 lbs, but can also accommodate two smaller dogs. This seat is 23″ long, 18.5″ wide, and 10 deep. There is also a cushion to raise the dog at window level which height reaches 6. 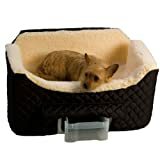 It is super comfortable and spacious for your dog: he or she lie down, sit down, or stand. Dogs of most sizes can stare through the window unless you own a toy breed which will require an extra cushion to be raised higher up. FidoRido Dog Car Seat in action! When it comes to car safety, this dog booster seat offers many features: adjustable straps allow for the dog to be securely restrained, while a seat belt hole will keep the basket stable during the car ride. A few accessories are available (storage pouch, padded raiser, harness, strap, and sherpa fleece) as a big bundle, or you can also buy these accessories separately. We are happy to have managed to receive a complimentary sample so we could try it out fully ourselves. 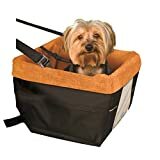 Such a great car seat for pets at a good value, ideal for travelers and campers since you can quickly remove it, and set it up as a comfortable dog bed. Visit Fido Pet Products for further information, and pricing. The Snoozer pet brand is known for manufacturing and selling top-quality comfortable pet accessories for demanding dogs and owners. Their products look good and feel good. It is delivered with a sturdy security strap to restrain your dog from moving too much and also has a high back to avoid having your dog jumping out, which is a great addition. 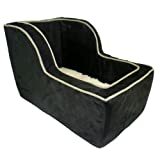 The microsuede cover is demarking itself from other brands by giving it a luxury feel and the padding in this premium dog booster seat is achieved through durable foam form. It is built to last forever and fits an SUV or truck without any problem. I am not sure it could fit a regular passenger car, though. The only downside is the storage: you can't fold it so packing it away means you have to do it as is. As the saying says, you get what you pay for! 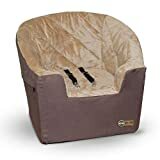 This is a basic dog booster seat that will do okay with pets of up to 20lbs, so puppies and small breeds mainly — anything bigger would surely destroy it in minutes! There are no gimmicks here and the structural support is somewhat mediocre unless your dog remains quiet, then it is pretty amazing for the price. The attachment is done by hanging the basket on the front of your car seat using the top strap that goes around the car seat's headrest. The fleece liner is a little thin which doesn't make this booster seat somewhat uncomfortable; not a good choice for long journeys. The liner is, however, removable and machine washable. It is delivered with a single tether. The cover is completely machine washable and very easy to remove and put back on — only takes a minute! If you are a messy dog owner, look no more, you've got the right dog booster seat: it even comes with a storage tray at the bottom of the seat to keep treats and accessories! Make sure your dog associates the car booster seat positively! Thanks to April D. Thompson for her input and photo! We've asked Adria Lafferty, master dog trainer at Reserved Barking in Springfield and Alexandria in Virginia how to get a difficult adult dog to love his car booster seat. And here below is her answer. When adjusting a dog to a new car booster seat you want to make sure your dog associates the car booster seat positively; begin with very short sessions, preferably using food or any sort of reward that the dog likes. Have the dog get in the booster seat or at least near it if they are nervous. Reward them verbally and give them food if they go near it. Your goal is to get them in the seat without worry or being afraid of it. This may take a little patience and time. Do multiple sessions if necessary, always end each session on a positive note. Don't expect the dog to sit in the seat for an extended period of time right off the bat. Celebrate small victories and eventually, you want the dog to sit in the seat on their own without being restrained. 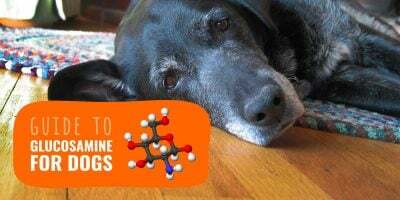 If your dog is extremely nervous and will not get near the seat, Adria Laffert recommends you to take the seat out of the vehicle and set it on the ground. 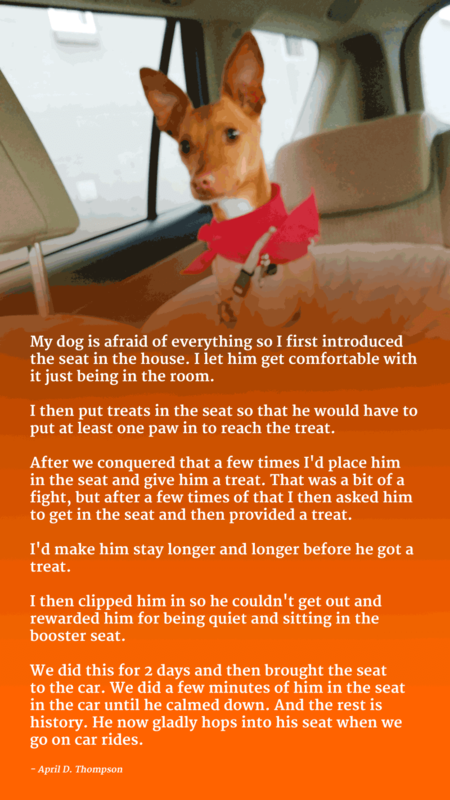 Work gradually, eventually having the dog take food out of the seat itself and then have them get in the seat for food. The dog will quickly realize that a dog car seat is nothing to be afraid of. Work up with the dog's confidence and do not reward fear behavior like running away or whining. Just be patient, try different ideas, and as soon as you see the dog accepting the position, reward from that mind space. Once you build on this, little by little if necessary, the dog will associate the seat as a happy place! As you can see, finding the right dog booster seat depends on several factors such as your dog's size, the safety features, the quality of manufacturing and level of attention to details. The best dog car seats are commonly priced anywhere from $75 for quality products to $150 for large models fitting SUVs and trucks. Hey I’ve just been looking at your list of best car seat covers for dogs. I am surprised that 4knines and Transpawt covers aren’t in your list. They are with out a shadow of a doubt the best car seat covers we have owned.